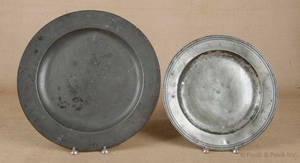 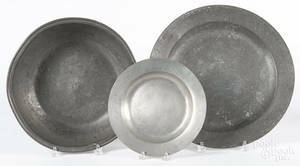 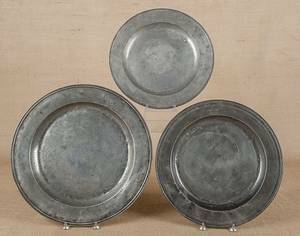 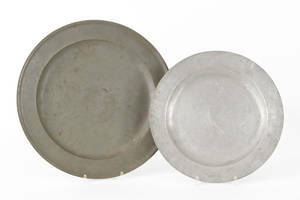 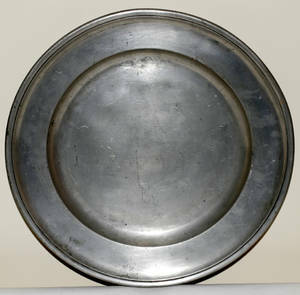 English pewter charger, 15" dia. 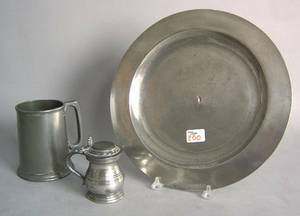 , together with a Wood & Sons tankard and a 1/2 pint measure. 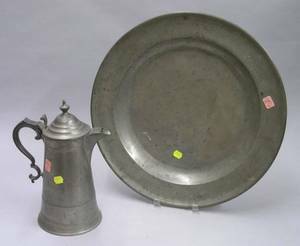 Calder Pewter Lighthouse Coffeepot and an English Pewter Charger. 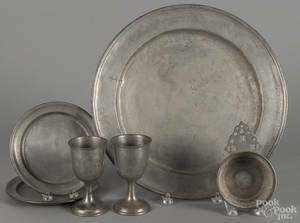 English pewter charger, mid 18th c.